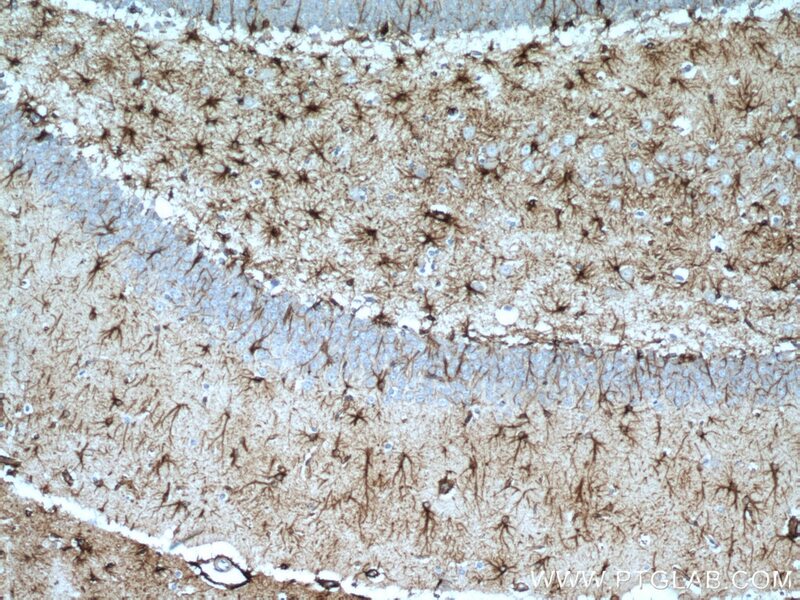 Immunohistochemical analysis of paraffin-embedded Hippocampus tissue slide from Alzheimer Mouse Model using 16825-1-AP (GFAP antibody) at dilution of 1:50000 (under 10x lens). 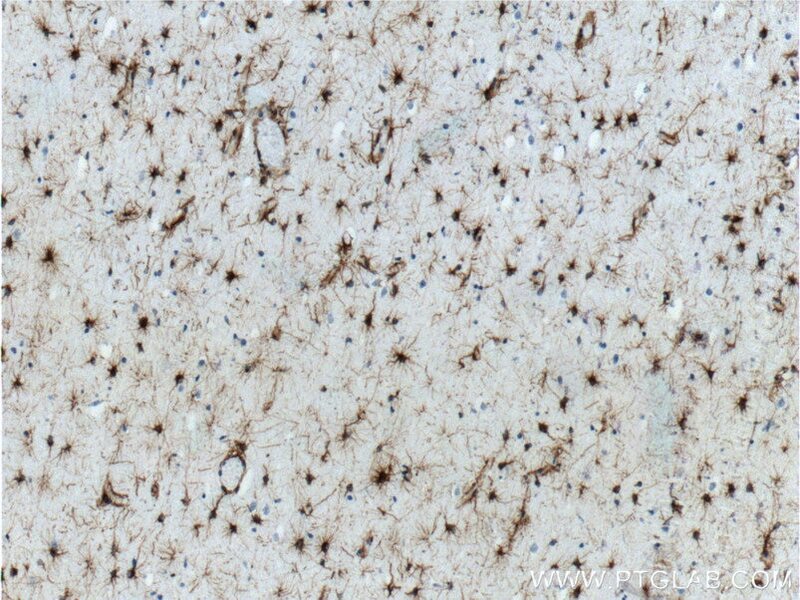 Data from NeuroScience Associates, Inc.
Immunohistochemical analysis of paraffin-embedded human brain tissue slide using 16825-1-AP( GFAP Antibody) at dilution of 1:2000 (under 10x lens). 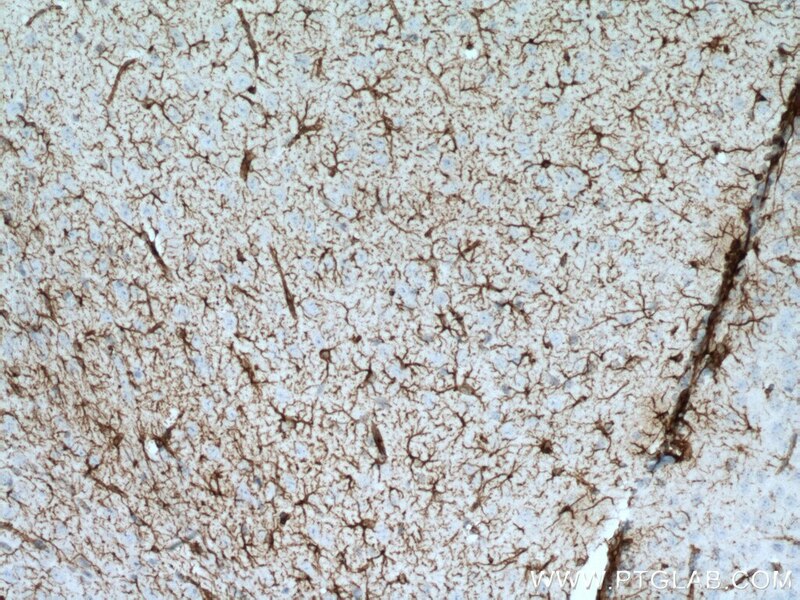 Immunohistochemical analysis of paraffin-embedded human brain tissue slide using 16825-1-AP( GFAP Antibody) at dilution of 1:2000 (under 40x lens). 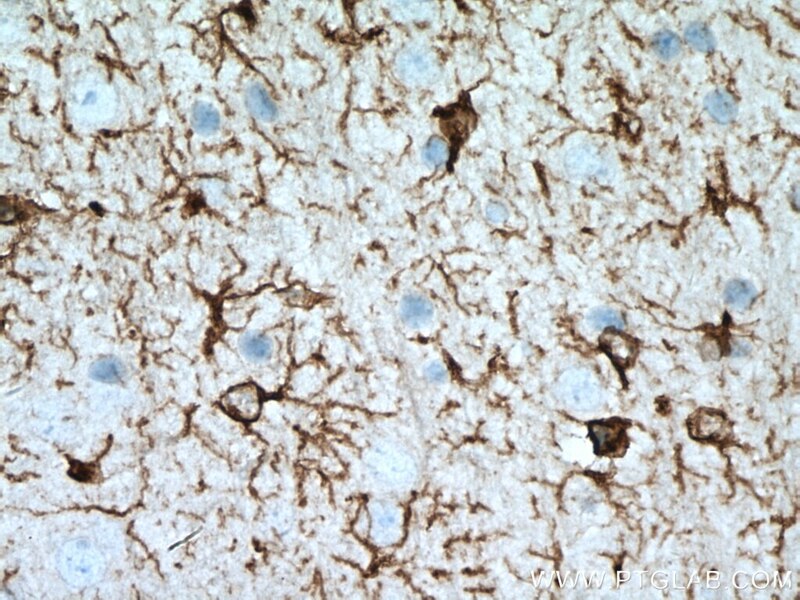 Immunohistochemical analysis of paraffin-embedded rat brain tissue slide using 16825-1-AP (GFAP antibody) at dilution of 1:200 (under 10x lens). 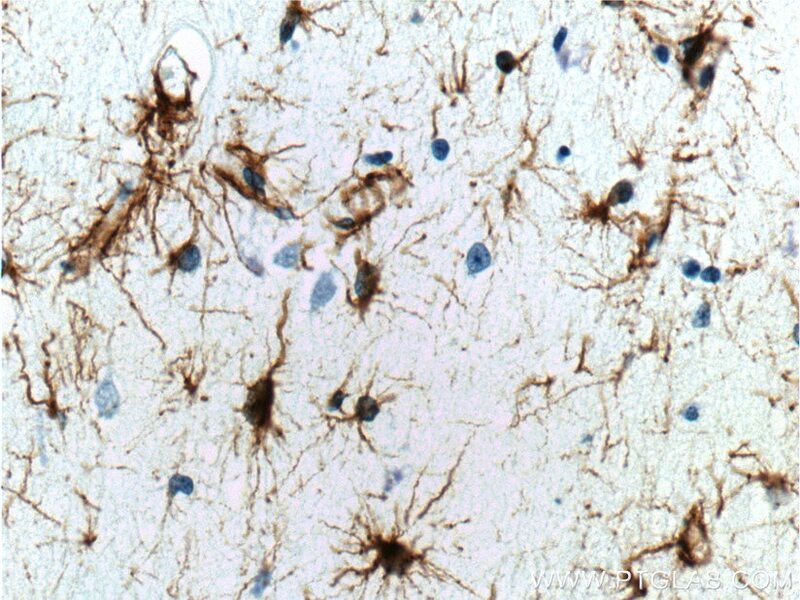 GFAP (Glial fibrillary acidic protein) is a type III intermediate filament (IF) protein specific to the central nervous system (CNS). GFAP is one of the main components of the intermediate filament network in astrocytes and has been proposed as playing a role in cell migration, cell motility, maintaining mechanical strength, and in mitosis. 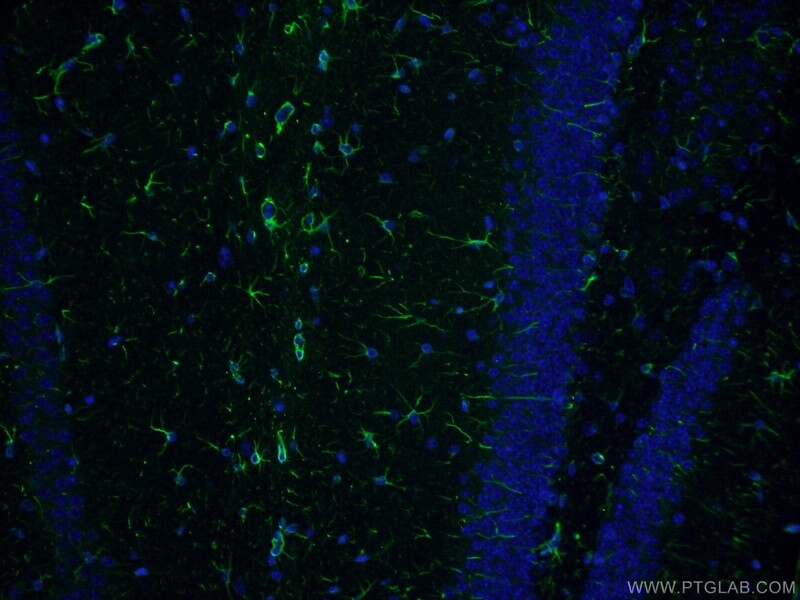 GFAP is expressed in central nervous system cells, predominantly in astrocytes. 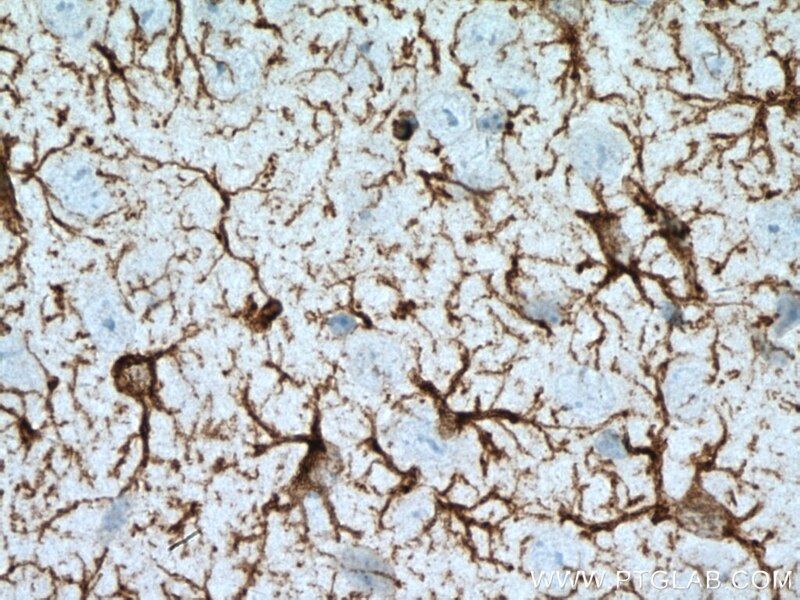 GFAP is commonly used as an astrocyte marker. 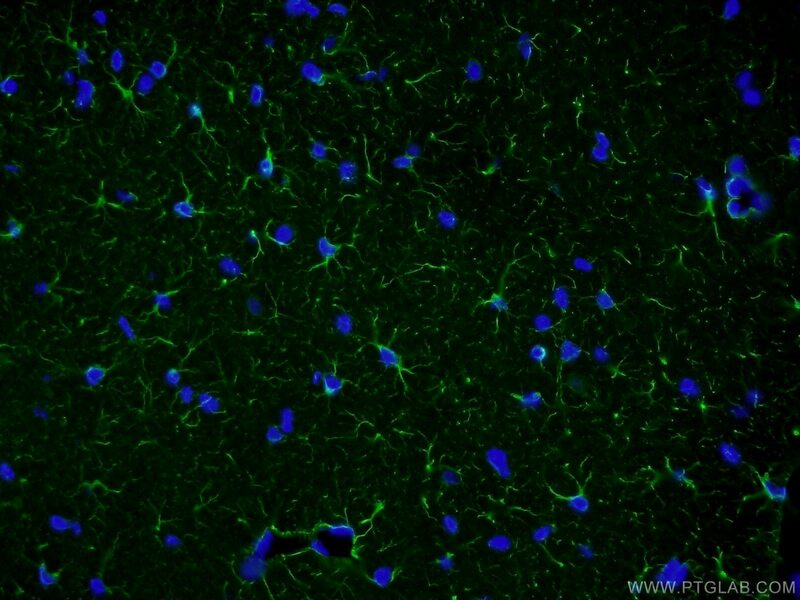 However, GFAP is also present in peripheral glia and in non-CNS cells, including fibroblasts, chondrocytes, lymphocytes, and liver stellate cells (PMID: 21219963). Mutations in GFAP lead to Alexander disease (OMIM: 203450), an autosomal dominant CNS disorder. The mutations present in affected individuals are thought to be gain-of-function. 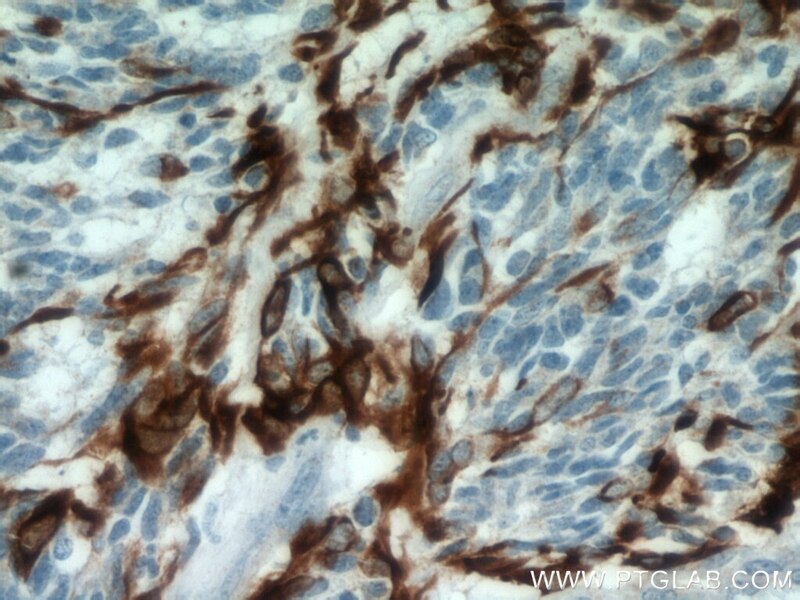 Upregulation of GFAP is a hallmark of reactive astrocytes, in which GFAP is present in hypertrophic cellular processes. Reactive astrogliosis is present in many neurological disorders, such as stroke, various neurodegenerative diseases (including Alzheimer’s and Parkinson’s disease), and neurotrauma. 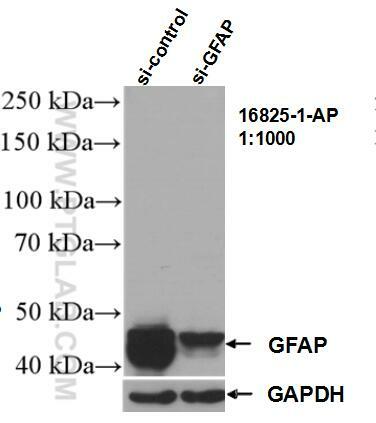 Astrocytes express 10 different isoforms of GFAP that differ in the rod and tail domains (PMID: 25726916), which means that they differ in molecular size. 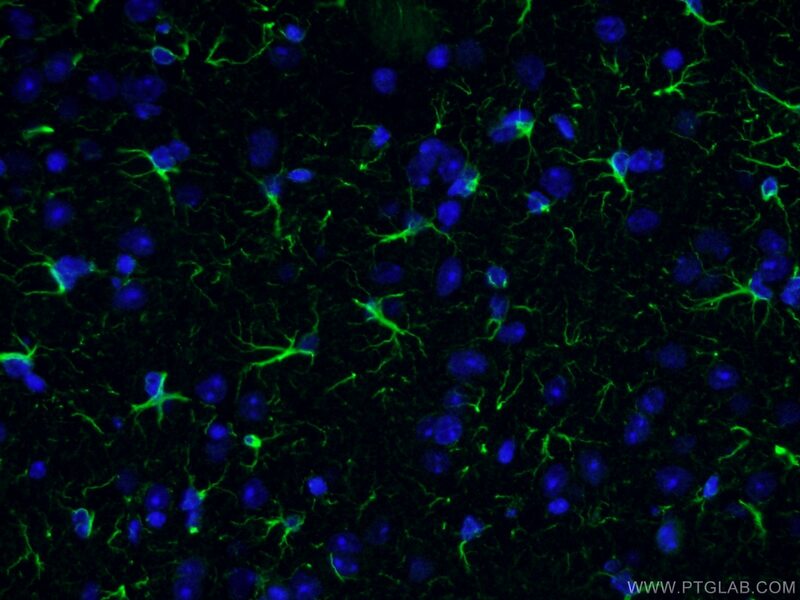 Isoform expression varies during the development and across different subtypes of astrocytes. Not all isoforms are upregulated in reactive astrocytes. Intermediate filament proteins are regulated by phosphorylation. Six phosphorylation sites have been identified in GFAP protein, at least some of which are reported to control filament assembly (PMID: 21219963). 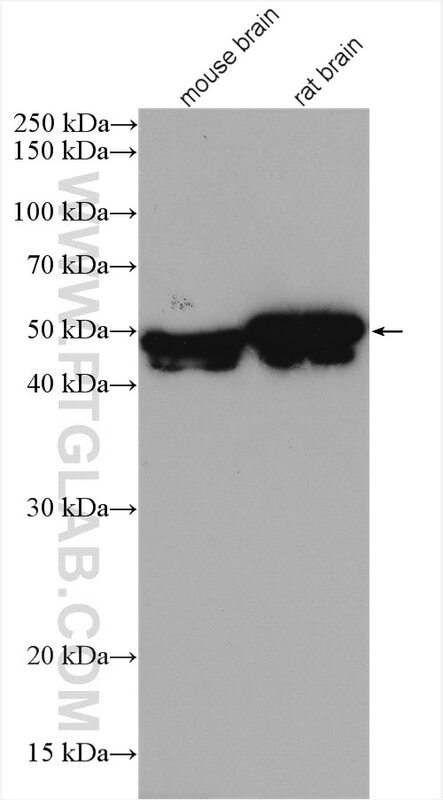 GFAP localizes to intermediate filaments and stains well in astrocyte cellular processes. Further assessment of neuropathology in retinal explants and neuroprotection by human neural progenitor cells. Contribution of SATB2 to the stronger osteogenic potential of bone marrow stromal cells from craniofacial bones. Effects of phlorizin on diabetic retinopathy according to isobaric tags for relative and absolute quantification-based proteomics in db/db mice. Increased expression of Notch1 in temporal lobe epilepsy: animal models and clinical evidence. 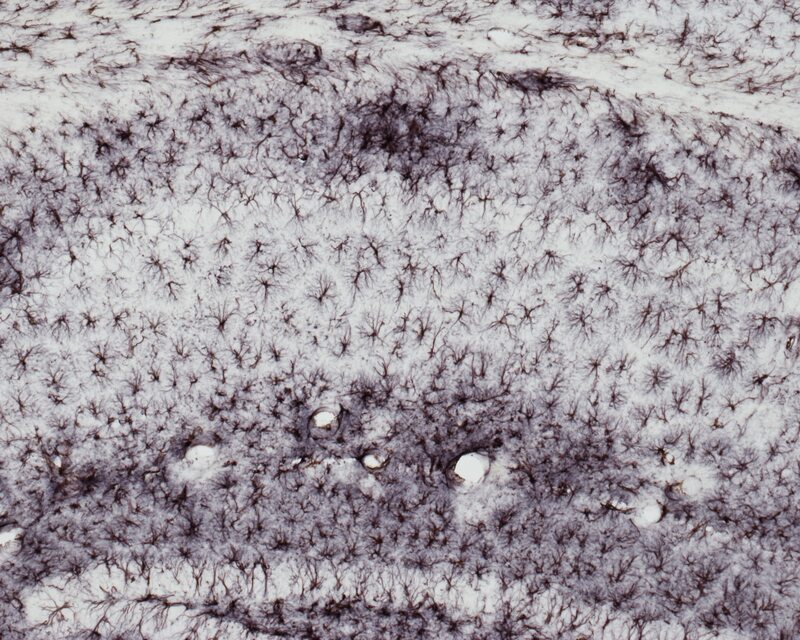 Disrupted SOX10 function causes spongiform neurodegeneration in gray tremor mice. 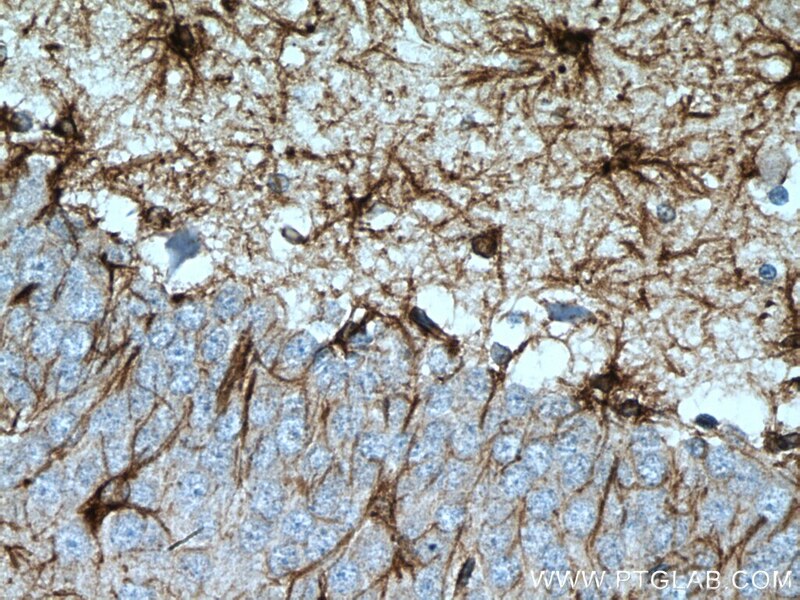 Immunohistochemical analysis of paraffin-embedded mouse brain tissue slide using 16825-1-AP (GFAP antibody) at dilution of 1:2000 (under 10x lens) heat mediated antigen retrieved with Tris-EDTA buffer(pH9). 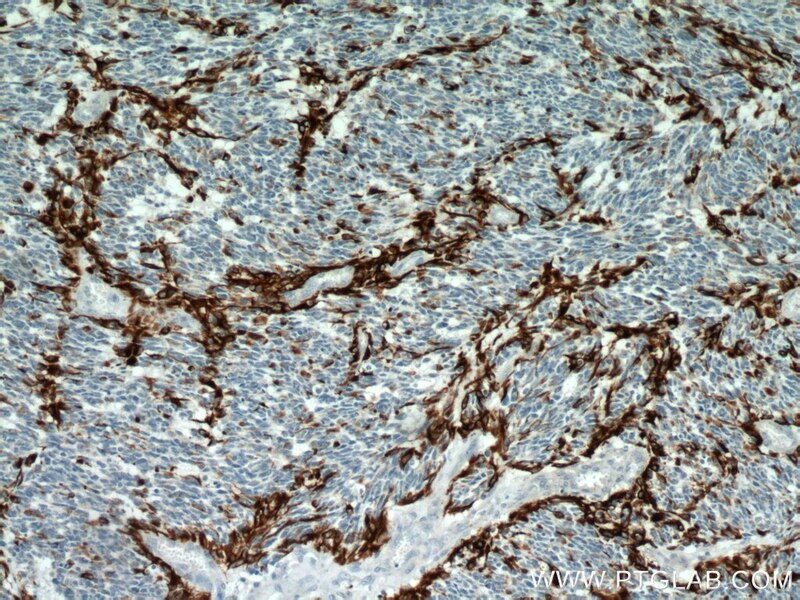 Immunohistochemical analysis of paraffin-embedded mouse brain tissue slide using 16825-1-AP (GFAP antibody) at dilution of 1:2000 (under 40x lens) heat mediated antigen retrieved with Tris-EDTA buffer(pH9). 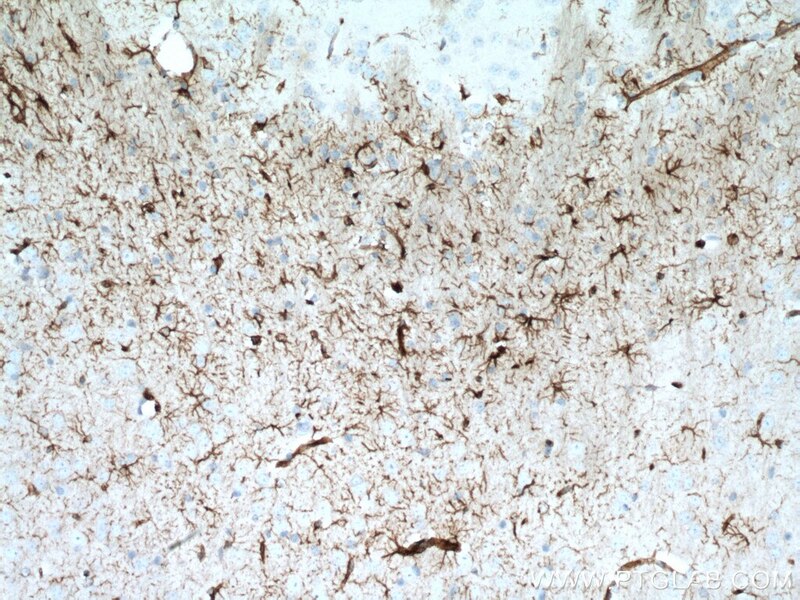 Immunohistochemical analysis of paraffin-embedded rat brain tissue slide using 16825-1-AP (GFAP antibody) at dilution of 1:200 (under 40x lens).